Australian pyjama and apparel brand Peter Alexander has been forced to pull a kids t-shirt from its latest line of clothing after a series of complaints. 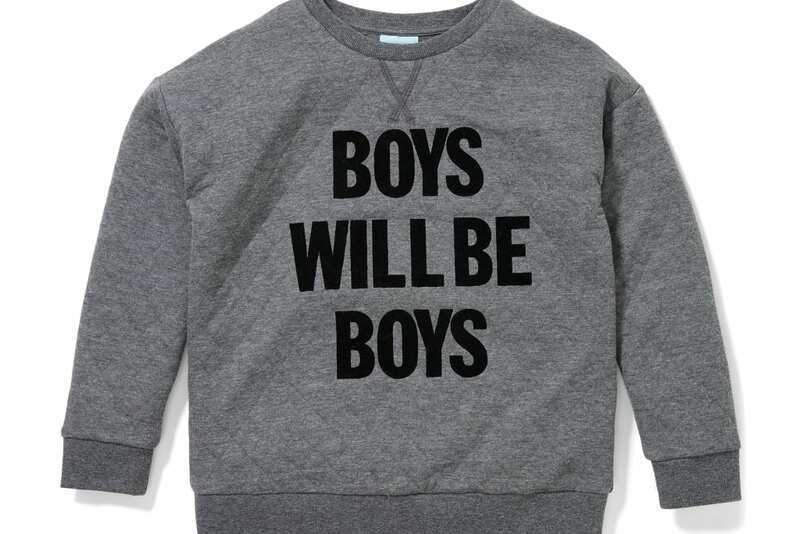 The t-shirt, made for boys, features the slogan “boys will be boys” emblazoned on the front and is marketed to children. Upon seeing the t-shirt in a Melbourne shop, a member of the public, Bridie Harris, took to social media to ask for Peter Alexander to remove it. “Boy won’t be boys,” she wrote. “It was not something I expected to see from them. I got home and I kept thinking about it. Peter Alexander pulled the t-shirt on Wednesday following the comments. In a statement, the company said, “I just wanted to update you and again thank you for taking the time to get in touch with us and bringing this to our attention. We do not tolerate the behaviour that is being associated with this slogan,” the statement read.